Last updated 14 March 2019 . By Katie Houghton. In 1983, a radio broadcast so terrifying that it had the public believe the planet was being invaded by martians was released. In 2019? Something both scary, and similar. A novel turned broadcast turned film turned stage show, The War Of The Worlds has been taken on by many a genius, so who's next? The brains behind SOMNAI (an immersive, dream-hacking experience using VR and theatre combined), Dotdotdot are taking on their biggest production yet, adapting Jeff Wayne's musical of the harrowing tale into a story that audiences will find themselves right in the thick of. Dropping you in 1898, you'll work your way through a world where heat rays are anything but out of the ordinary as a 22,000-square foot space is being transformed into an arena where you'll have to escape a flock of dormant (and really rather angry) martians. Using holograms, virtual reality and actors alike, Dotdotdot are staying true to form in delivering an experience that Londoners won't be forgetting any time soon. 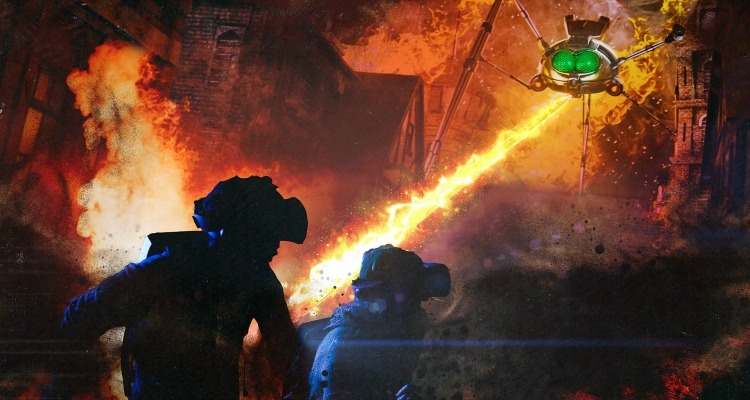 Jeff Wayne's The War of the Worlds: The Immersive Experience takes place across various dates in June, July and August. Tickets start from £39.50 and can be bought here.